Personalized Valentine Shirt. Valentine shirt adorned with heart square applique design. 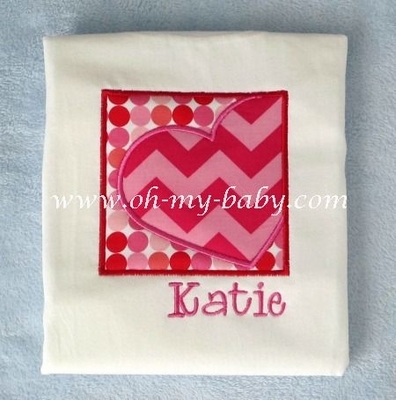 Polka dot square with pink chevron heart.